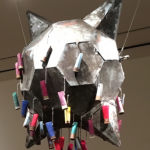 Guillermo Galindo’s Metal Piñata, with shotgun shell casings found on a Border Patrol shooting range. 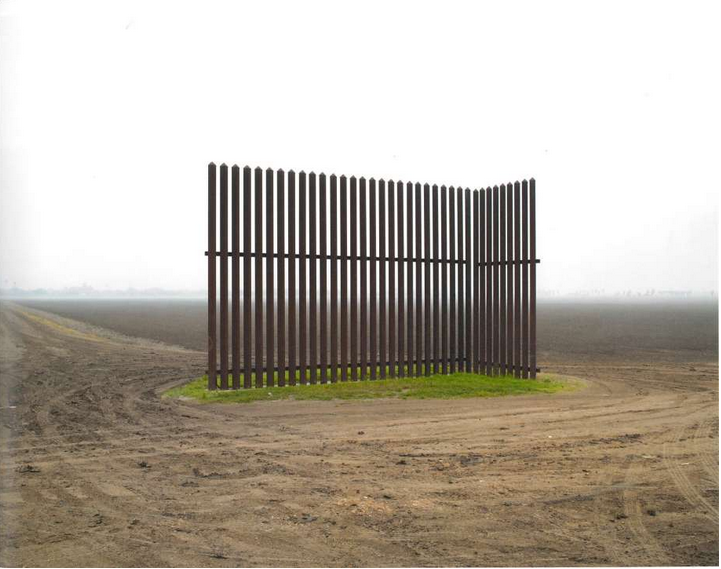 Border Cantos, an exhibition at the San Jose Museum of Art through July 31, 2016, is an artistic collaboration between landscape photographer Richard Misrach and experimental composer Guillermo Galindo which documents the human reality of the US-Mexico borderlands. Misrach has been photographing the 2,000-mile border between the US and Mexico since 2004, and his sweeping, panoramic photographs explore border issues by focusing on isolated personal possessions found abandoned in the border zone: shoes, broken jewelry, a torn-up copy of the Spanish-language edition of Dr. Zhivago. The images are large, more than 6 feet high, and visitors can imagine walking right into them. For the music, Galindo uses discarded items to build unconventional instruments that are inspired by indigenous traditions from around the globe. 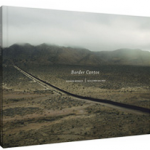 For videos and more information, visit the Border Cantos project website. This entry was posted in Museum Exhibitions, San Jose Museum of Art and tagged Richard Misrach on 05/29/2016 by Jeanie Craig. © 2019 Jeanie Craig, Art Collection Management & Art Appraisals, San Francisco Bay Area.